Glass 4 Classics Edgework on side glass choice. Polished or Satin finish. 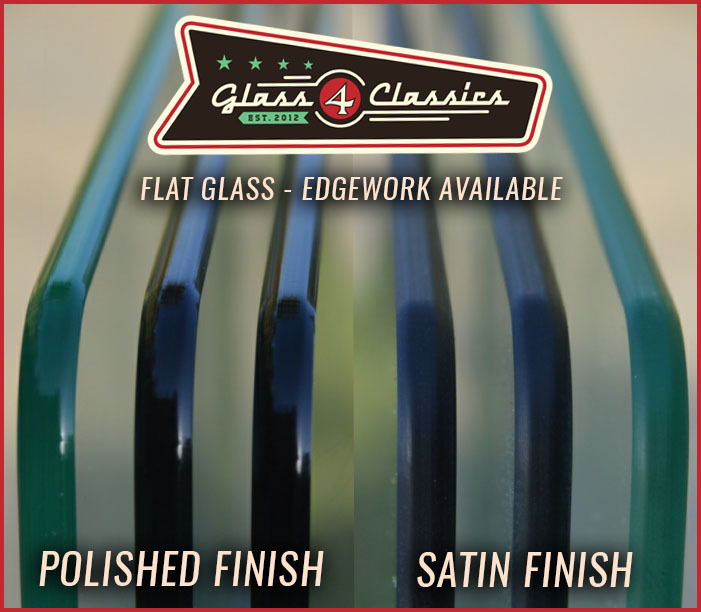 For those of you requiring flat glass, we now offer the choice of three types of edge work. Please read below for more information. For all our standard (flat) side windows sets, we offer edgework which closely matches the original factory grade finish. The edges are finished in the same way as the original glass in your car or truck was, when it left the factory. So unless specified, any glass you purchase will come with this edgework. It has a nice satin finish on all seen edges and represents good value for money as it is offered at a lower price that our CNC finished sets. When you order custom/hot rod glass we will generally only offer our CNC finished edgework. This is an elite level show quality finish. This glass is CNC cut and then CNC polished to a lustrous shine, that is second to none! This will really set your ride apart from the rest! For those who may still like the quality and finish that only a CNC can give, but would prefer a look that it’s closer to the way it left the factory, we offer the CNC satin edgework as an option. Choice of edgework available with our CNC finished glass. 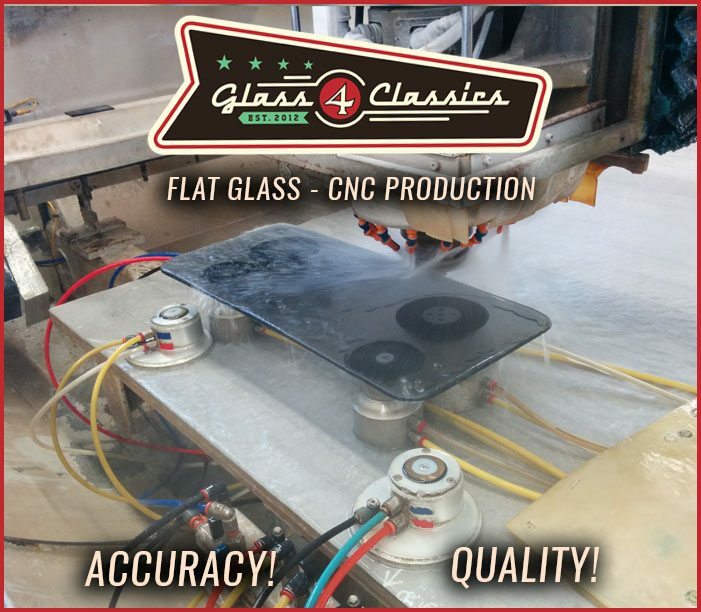 For those of you requiring curved side glass, we offer only one type of polishing on our edge work, due to the way in which the glass is produced. The only option that we can offer for this is the “standard” edgework that would have been provided by the factory. It is a nice smooth, satin finish. The gloss finish available on the flat glass is NOT a possibility (no matter how much you beg and plead), we do apologise for that.